Whiteflies are common garden pests and can be found all over the world. 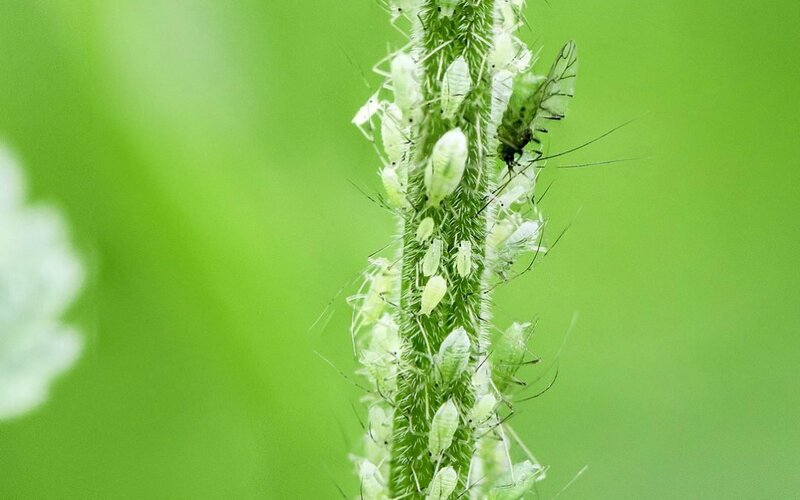 These tiny, white insects are notorious for the damage they inflict on host plants and are every gardener’s nightmare! Unfortunately, most whitefly species are resistant to a wide range of insecticides and can be difficult to control. Knowing which whitefly you are dealing with can be crucial for getting rid of them, but how can you tell them apart? Read on for the most common whitefly types found in gardens and greenhouses, and how you can deal with each! Greenhouse whitefly looks like tiny moths. They are solid white in color and no more than 1.5mm in length. They are very similar in appearance to the Silverleaf whitefly; however, they can be recognized by the way they hold their wings. 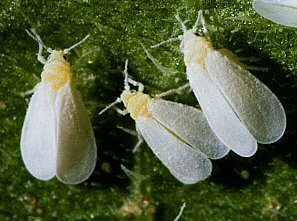 Greenhouse whitefly holds their wings out flat against their bodies and, from above, look triangular. The Greenhouse whitefly is a global pest and can be found in temperate climates all over the world. In the USA, they favor the warmer weather of the western coast and can be found year-round in places like California. However, they are unable to survive outdoors in areas with freezing winter temperatures, like Colorado. As its name suggests, the Greenhouse whitefly is most commonly found in greenhouses. It may also be found on houseplants and, in temperate climates, in gardens. The Greenhouse whitefly is a particularly voracious species and feeds on a very broad range of host plants. Over 250 species of ornamental and vegetable plants are vulnerable to attack, including cucumber, tomato, poinsettia, grapes, hibiscus, begonia, beans, potatoes, roses, aubergines, raspberries and more. Whitefly feed by sucking sap from the phloem of the plant. Where large infestations are present, this causes extensive physical damage. 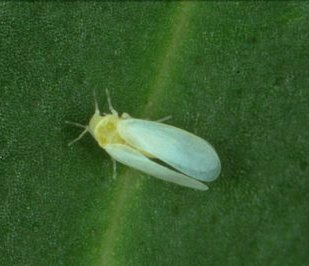 Greenhouse whitefly may cause stunting, yellowing of foliage, premature dropping of leaves, chlorotic spotting of leaves and, in extreme cases, plant death. Greenhouse whiteflies secrete honeydew, a sweet, sticky substance that they drop onto the leaves of plants. Honeydew encourages the growth of sooty mold, a black fungus that can cover the leaves of plants and give them an unsightly appearance. In very severe cases, sooty mold may even stop light from reaching the plant leaves, preventing photosynthesis and causing plant stress. Like many whitefly species, the Greenhouse whiteflies are also plant disease vectors. They are known to transmit several viruses such as the tomato infectious chlorosis virus, strawberry pallidosis associated virus and beet pseudo yellow virus. All of these can cause significant damage to host plants, leading to stunted growth and reduced yield. Getting rid of whitefly can be tricky. The use of chemicals is not generally recommended, as the Greenhouse whitefly is resistant to most insecticides. A more effective way of dealing with them is to use biological control methods. There are a few species of parasitic wasp (such as Encarsia Formosa and Eretmocerous californicus) that can be used to effectively kill Greenhouse whitefly and can be purchased and released in your garden and greenhouse. The best way to keep Greenhouse whitefly at bay, however, is by using preventative control methods. These pests are highly attracted to yellow and white, so yellow sticky pads are a great way to capture them. Simply place these traps near your plants to stop whitefly in their tracks, before they get a chance to land and breed! The Silverleaf whitefly (AKA the Sweetpotato whitefly) is one of the most common whitefly species in North America. These insects look very similar to the Greenhouse whitefly, measuring around 1 mm in length and white in color. However, unlike the Greenhouse whitefly, they hold their wings over their body in a tent-like shape, making them look like a grain of rice from above. Silverleaf whitefly favors the warm climate of North America’s southern states. They are most commonly found in southern California, Texas, Arizona, Georgia, Louisiana, Florida, and New Mexico. Silverleaf whitefly is less commonly found on houseplants than the Greenhouse whitefly. Instead, they are more often found in greenhouses, in gardens, and on crops. They are major pests of ornamental plants, particularly poinsettia, but they also attack squash, tomatoes, cucumbers, eggplant, beans, okra, cotton, melon, broccoli, and cabbage. Like the Greenhouse whitefly, Silverleaf whitefly cause extensive damage to plants by feeding. They are especially well known for causing squash Silverleaf disorder, whereby the feeding of whitefly nymphs causing silvering of leaves on squash plants. This can lead to stunting, reduced fruit yield and even blanching of squash. The honeydew they secrete can also lead to the growth of sooty mold on plants. Silverleaf whitefly is notorious plant disease vectors; in fact, they are responsible for the transmission of more plant viruses than any other species. 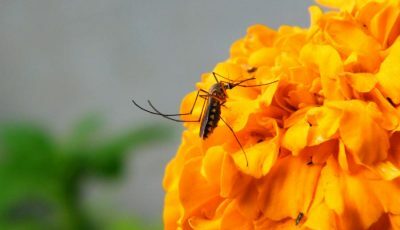 Tomato yellow leaf curl virus, lettuce infectious yellows virus and tomato chlorosis virus are just some of the diseases these insects can spread to their hosts. These can all significantly reduce plant vitality, stunting their growth and reducing fruit yield. Silverleaf whitefly is a major problem in many of North America’s southern states, especially as they are difficult to control. Like Greenhouse whitefly, they are resistant to most insecticides. However, yellow sticky traps and the use of reflective mulch can help to reduce their numbers. 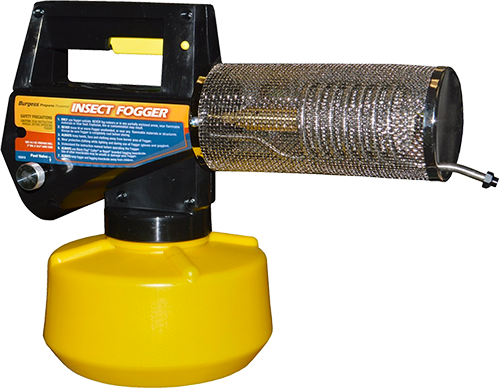 They also have several natural enemies, such as parasitic wasps and ladybugs, that can help to keep infestations at bay. The Bandedwinged whitefly is easier to identify that other species, as they have a distinctive, brown zig-zag pattern on their wings. They are also slightly bigger, measuring around 2 mm in length. Bandedwinged whiteflies are widespread throughout the USA and can be found throughout the country. In the southern states, they can survive outdoors year-round. In the colder climate of the northern states, however, they can survive the winter only in greenhouses. 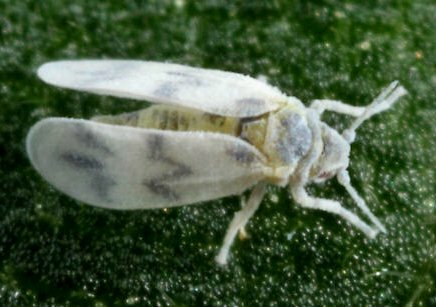 The Bandedwinged whitefly favors ornamental plants and is known to attack around 140 different species. They are most commonly found invading poinsettia, geranium, Hibiscus, petunia, citrus, fuchsia, eucalyptus and petunia plants. The physical damage caused by feeding and honeydew secretion of the Bandedwinged whitefly is similar to that of other species, causing stunting, leaf yellowing and premature leaf drop. They also transmit four known plant viruses, including sweet potato chlorotic stunt virus and Abutilon yellows virus. These can cause significant damage to the host plant, including wilting, stunting and yellowing of leaves. As with other whitefly species on this list, the Bandedwinged whitefly is resistant to most insecticides. Preventative measures (such as yellow sticky pads and reflective mulch) are therefore the best methods of keeping them out of your garden. 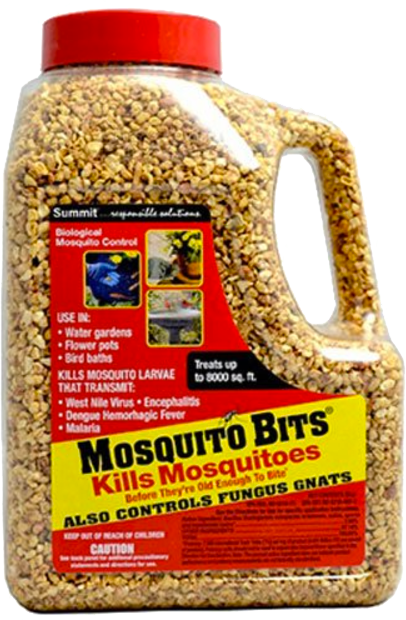 Natural enemies, such as parasitic wasps, may also be used to get their numbers under control. Correctly identifying the type of whitefly that’s invading your plants can be crucial when it comes to dealing with them. 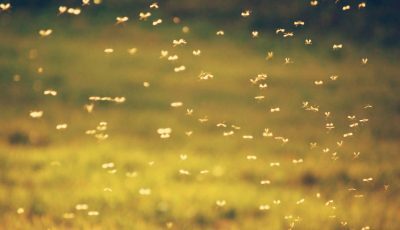 These persistent pests are largely resistant to insecticides and eliminating them can be a daunting task! 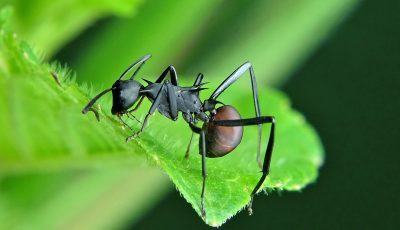 However, learning to tell them apart can be instrumental in successfully ridding your garden of these voracious insects.